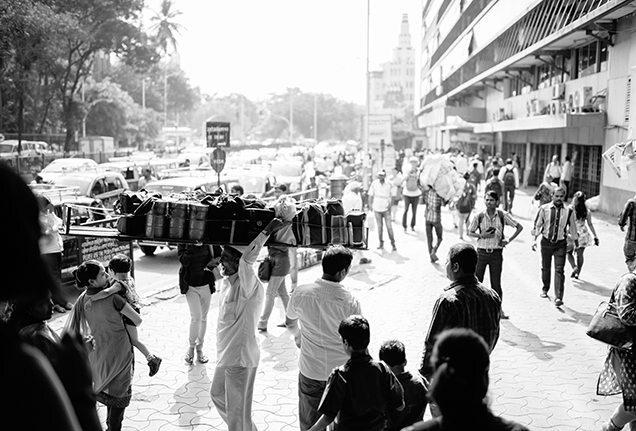 The opportunity to experience Mumbai’s complex lunch-box delivery system offers one traveller a unique perspective on the city and its traditions. The Mumbai train system is the lifeblood of this metropolis. It nourishes the city by pumping commuter trains full of citizens through its arteries to all of their destinations. More than 7.5 million commuters crowd its coaches every day, making this one of the busiest rapid transit systems in the world. On a humid winter morning, I arrive at Churchgate railway station, one of the system’s critical nexuses. At any given moment, trains glide in and out of a dark, bustling train terminus, picking up and dropping off people from every tier of life in Mumbai, from office workers to students to merchants to executives. 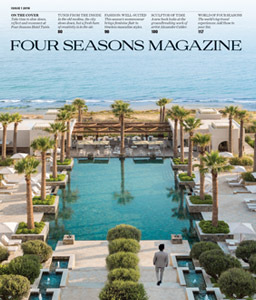 Standing with Valencia Albuquerque, Concierge of Four Seasons Hotel Mumbai, I watch as tides of vibrant colours spill on and off of the trains and spread in every direction. Mumbai’s dabbawalas pick up fresh meals from their clients’ homes each day before delivering the containers to their workplace in time for lunch. As the sea of commuters begins to clear, I also notice passengers dressed head to toe in white and unloading assortments of cylindrical tiffin boxes. 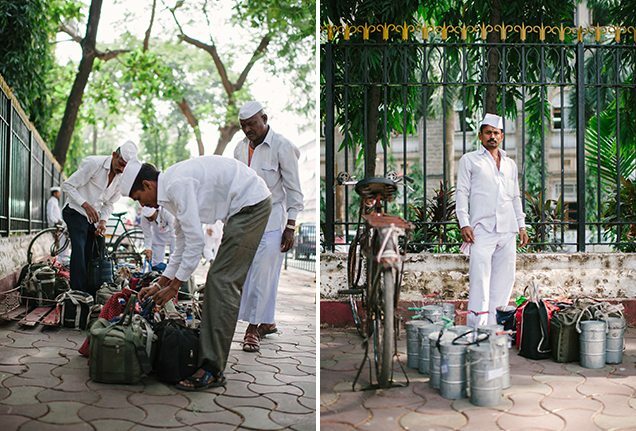 These are the city’s dabbawalas, highly specialised workers whose sole task is to ensure that meals originating from homes all around Mumbai reach their owners safely at lunchtime. This unique system originated in the late 1800s, when there were very few restaurants in Mumbai, and fewer still to cater to a new class of commuting workers. As a matter of urgency and practicality, a new delivery system developed in which dabbawalas—literally “carriers of boxes”—stepped into the breach to bring warm lunches to the workers in every family. Today, thousands upon thousands of deliveries are made to offices around Mumbai. 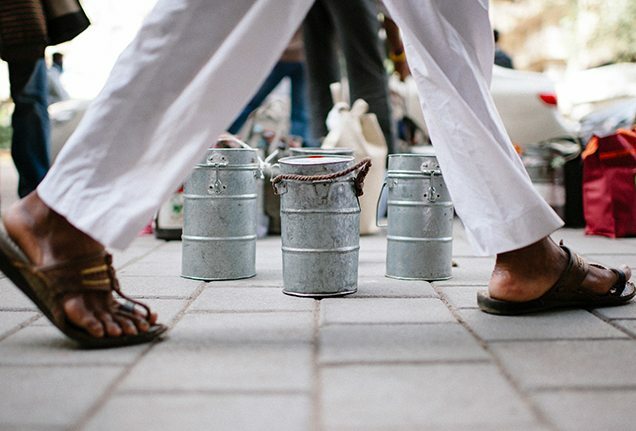 The dabbawalas, part of a tradition that began about 125 years ago, are the packers and messengers for hungry office workers all over the metropolis. It was at Churchgate station that I met Dyaneshwar Paangare, whom I would be shadowing for the day through the Lunch Like a Local Extraordinary Experience, available exclusively through Four Seasons Hotel Mumbai. 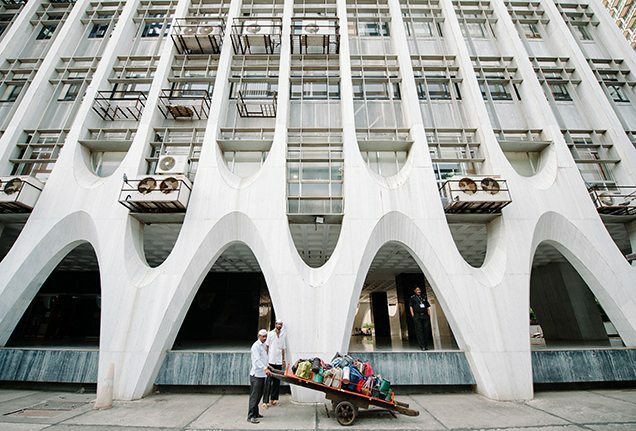 While I didn’t actually assist the dabbawalas in the sorting and final delivery of their shipments—several botched deliveries might have resulted if I had tried my hand—I did gain understanding of this complex system and its various moving parts. The explanations from both Albuquerque and Paangare helped me appreciate the amount of work and precision required for the delivery of a single dabba (box). Over the course of a single day, 5,000 dabbawalas work to deliver more than 200,000 tiffin boxes to Mumbai’s work force. 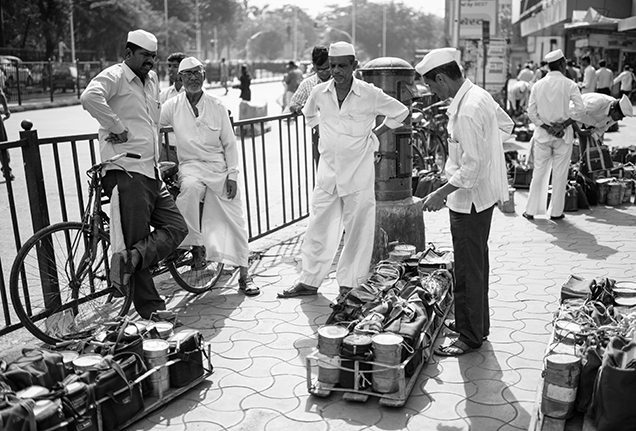 Outside Churchgate station, dabbawalas sort dabbas (containers) according to their final destination. The dabbawala system relies solely on human processing, as each tiffin box must be read to determine where it’s going. The ultimate exercise in organisation, the typical dabba changes hands at least five times before reaching its owner. The system has been awarded the six sigma level of efficiency, meaning that roughly one mistake occurs every six million deliveries. From beginning to end, each meal changes hands at least five times. 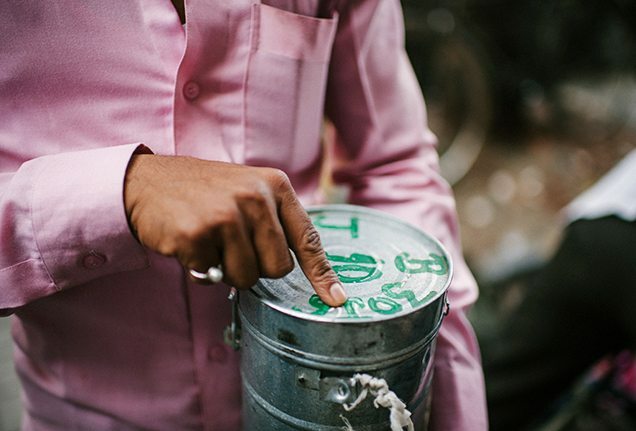 Every tiffin box has an alphanumeric code (some written more clearly than others) from which a dabbawala can ascertain the origin, the destination and other crucial information. With great interest and countless questions, I followed Paangare from Churchgate to a delivery at his final destination (Mafatlal Centre, an office building in Nariman Point). In an age when nearly all logistics have moved to electronic coding and tracking, it was fascinating to see a system that appeared so haphazard and yet worked with astounding accuracy and efficiency. The system relies entirely on human processing, from the cooking of each meal to the reading of each individual tiffin box to the physical delivery of each parcel. And it operates nearly flawlessly, with errors being reported so rarely that the rate of successful deliveries is close to 100 percent. The dabbawala system is a reflection of the Mumbai that surrounds it: incredibly organised chaos. My immersion in the world of dabbawalas served as the best possible introduction to the city’s train system, and to the Fort and Nariman Point areas of Mumbai. Once the delivery was complete, I returned to the Hotel, where a warm vegetarian tiffin box awaited my attention. Though my own lunch might not have arrived from a faraway corner of Mumbai, I was able to unwind and enjoy some delicious food with a new-found comprehension of the craft, customs and systems behind this daily ritual. 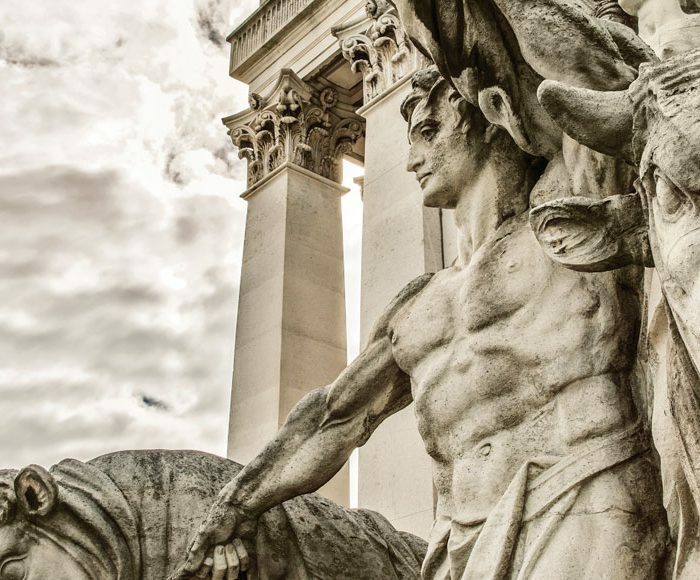 In the streets around Four Seasons Hotel London at Ten Trinity Square, a handful of structures speak to the evolution of this iconic city. 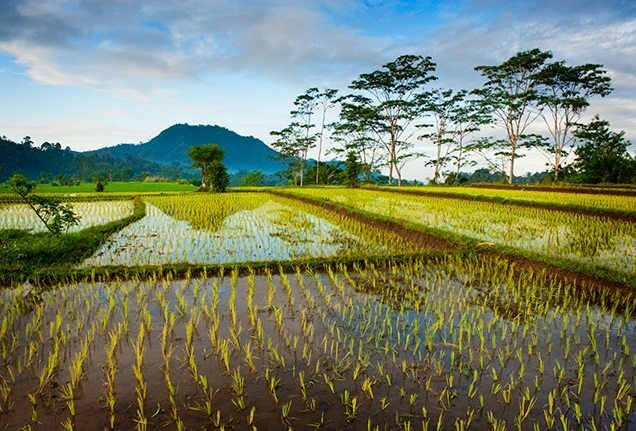 In a rice paddy in Bali’s central highlands, a traveller connects with the island’s gentle pace and generous spirit. 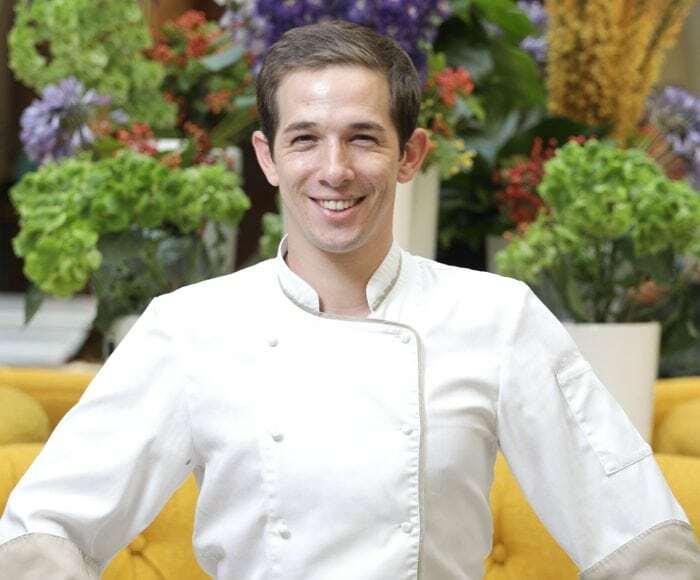 St. Petersburg talks meringue, Instagram and how he satisfies his sweet tooth.